This is a Black/Cyan/Magenta/Yellow Samsung CLT-P4092C Toner Cartridge Multipack. The capacity of the Samsung CLT-P4092C Toner Cartridge Multipack is Black 1500, Colour 1000 pages per cartridge. The Samsung part number is Samsung CLT-P4092C. The alternative Samsung part number is Samsung SU392A. The Samsung SU392A fits the Samsung CLX-3175N, CLX-3175FW, CLX-3175FN, CLX-3175, CLX-3170FN, CLP-315W, CLP-315, CLP-310N, CLP-310 printers. We offer a secure online ordering service with PayPal, Visa, MasterCard and American Express for the Samsung CLT-P4092C. 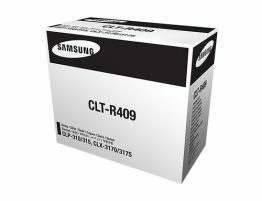 We offer free delivery on this genuine Samsung CLT-P4092C printer cartridge Multipack. The delivery time for the Samsung CLT-P4092C is normally 1-3 working days. 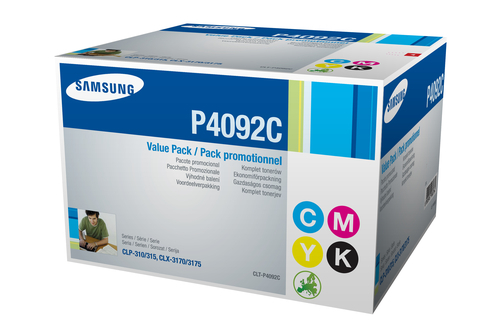 You can purchase your Samsung CLT-P4092C Black/Cyan/Magenta/Yellow Toner Cartridge Multipack online or by phone. Our sales department is ready to help you with any questions you may have about the Samsung CLT-P4092C. We have a dedicated customer service team and all our products are backed by our ISO 9001 and 14001 quality accreditations. We offer a no quibble returns policy for the Samsung CLT-P4092C. Toner Cartridge Shop accepts major credit cards and PayPal for the Samsung CLT-P4092C. Buy your genuine original Samsung SU392A Toner Cartridge Multipack from Toner Cartridge Shop at the best price. Black Samsung CLT-P4092B (SU391A) Dualpack. Capacity 3000 pages. Samsung CLT-R409 (SU414A) Imaging Drum. Capacity 24000 pages.